took on the British Government and won. MBE and Courtney Pine CBE. becoming the first black Archbishop of York, a title he achieved in 2005.
moved to the United Kingdom as an immigrant in 1974.
the role from David Hope. poverty, slavery and injustice and conflicts abroad are truly inspiring. as the first black female MP. sick and wounded military personnel. her when she faced destitution after the war. 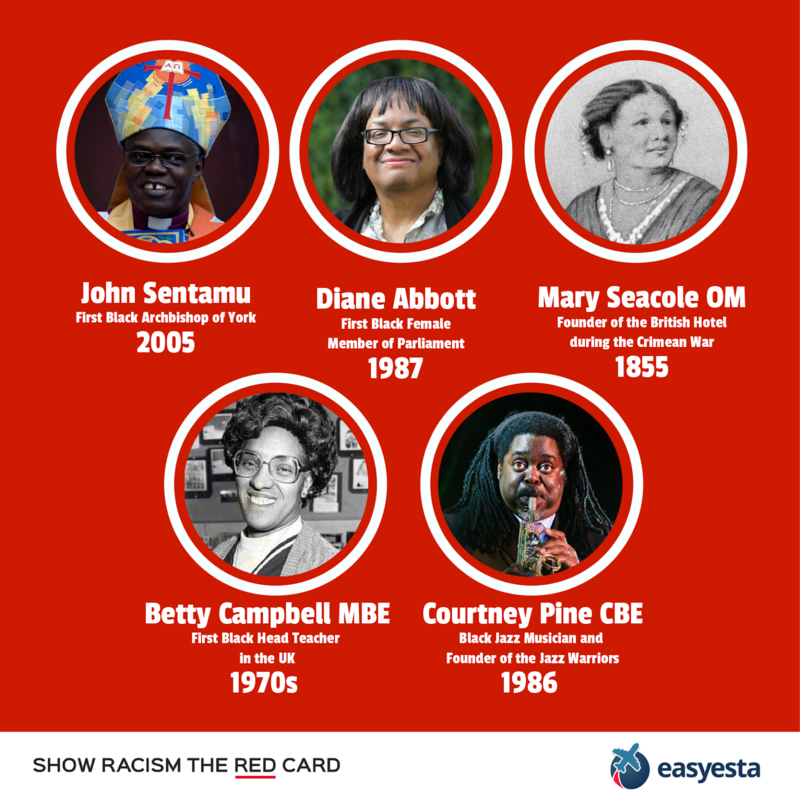 Order of Merit in 1991 and in 2004 she was voted the greatest black Briton. These are achievements that are still remembered today. figure our education system after becoming Wales’ first black head teacher. School for Girls which help start her career in education. slavery, black history and apartheid. his new album, “Black Notes From The Deep” released soon.